We build more than homes…we build relationships. 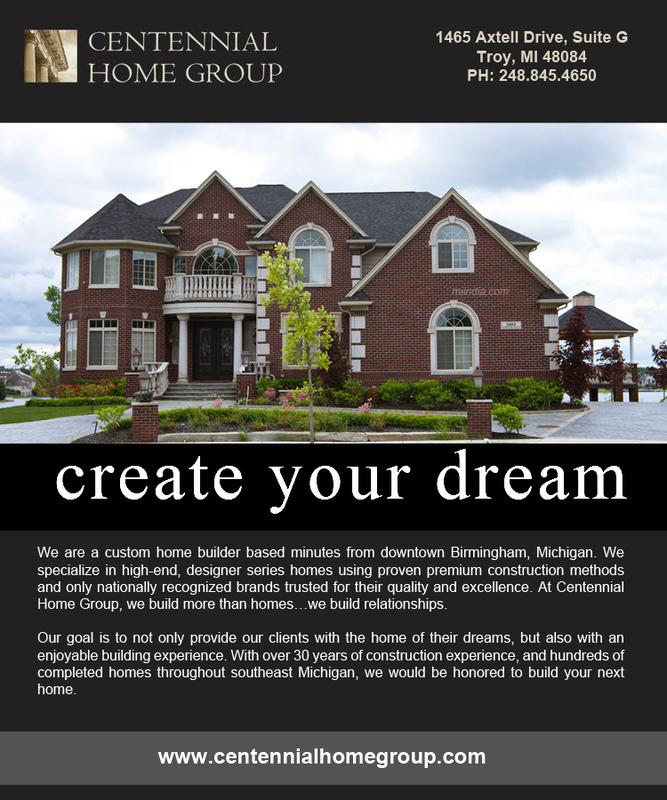 We are a custom home builder based minutes from downtown Birmingham, Michigan. We specialize in high-end, designer series homes using proven premium construction methods and only nationally recognized brands trusted for their quality and excellence. We strive to establish long-standing relationships by providing an exceptional experience and luxuriously finished homes. We maintain a staff that includes architects, engineers and interior designers. At Centennial Home Group, we build more than homes…we build relationships. Our goal is to not only provide our clients with the home of their dreams, but also with an enjoyable building experience. With over 30 years of construction experience, and hundreds of completed homes throughout southeast Michigan, we would be honored to build your next home.